On January 9, Facebook made some major changes to its developer roadmap. The change everyone is talking about is regarding the sunset of Sponsored Stories. However, there’s more to this announcement. It’s catered to developers, so it’s not particularly easy to read. So the purpose of this post is to help decipher what exactly is going to be changing on April 9. Now, this shouldn’t be a major surprise. We were first warned of this back in June of 2013 when Facebook talked of simplifying their ad offerings. I simply hoped it wouldn’t happen. Well, it will happen. And it may not be that big of a deal. Facebook says that in an effort to simplify advertising, focus will be shifted from the ad type and towards the promoted object and assets. This actually makes sense given the new Objective flow. One can imagine that going forward the Objective will be how you choose to create an ad. That will be it. No second step prior to targeting. As I poke around the Objective flow, this would appear to be the case. If you take away the Sponsored Stories options, all Objectives will have only one or two ad options (most are one). The only Objectives that remain unclear are Clicks to Website and Website Conversions. 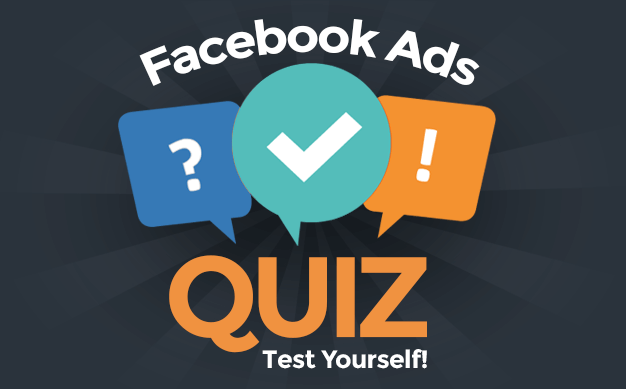 In each of these cases, there are two ad options that will survive: Page post ad and domain ad. Why isn’t this a big deal? Well, as Facebook said way back in June (and reiterated with this announcement), all ads will continue to include social context, where possible. An example of this is when you currently run page post or page like ads, Facebook will automatically show social context (your friend liked/commented on the post or liked the page). So nothing really goes away. The power of social context will thrive. You just won’t be able to create an ad with the only purpose of social context now. If you currently run Sponsored Stories like I do, all Page Post and Page Like Sponsored Stories will continue to deliver. So that’s good. All Domain and Open Graph Sponsored Stories are going away. Dead. No replacement. I’m a big fan of Domain Sponsored Stories. I usually keep one running at all times to drive traffic back to my website. But I’ll need to let it go because it’s going to stop delivering effective April 9. Facebook has added the option to specify image crops through the Ads API. Image crops are used to describe the way that an image should be displayed in each aspect ratio of the different ad placements. During rendering, the image will be cropped according to the specifications given and if no specification is provided for a certain aspect ratio, the image will be displayed in the default way. While aspect ratios tend to be the same for mobile and desktop News Feeds, sidebar can throw a monkey wrench into your ad plans. You probably just roll with the resizing Facebook does for you. Or maybe you create a completely separate ad that optimizes for the sidebar’s image dimensions. Well, now that won’t be necessary. Based on the passage above, it looks like you’ll be able to use a tool that crops images the way you prefer, based on placement. Example: historically, if you selected “Parents” “Photography” “Photo uploader” within interests, the audience constructed was People who are Parents OR interested in Photography OR people who upload [many] Photos. However, the intended audience was: “Parents, who are interested in photography and upload pictures”. Now, the specific audience will be targeted as intended. The change makes sense, though the new structure is difficult to envision. Will advertisers now be able to target in the same ways a Graph Search is run? That’s the way this reads, but I don’t believe that portion was to be taken literally. This is something many people have had for a while now (though I don’t). Facebook has combined Precise Interests and Broad Category targeting under a single “Interests” field. What this means is that targeting will be more broad going forward. Previously, you could target Baseball and #Baseball. The first would target any user who mentioned Baseball (including liking the page) while the hashtagged version would target anyone who mentioned anything related to Baseball. Since I don’t have this change yet, it’s difficult to have an assessment. But I don’t use Broad Category targeting, opting to be more precise. I’m not a fan of this change, though I guess I’ll have to see if there’s an impact one way or the other on results. UPDATE: The danger of commenting on a feature when I don’t have it is that there is a level of guessing. I was just granted access by someone who has this feature, and targeting actually isn’t taken away. If you are looking to target a very general term (like “dog” for example) Facebook essentially merges the “dog” and “#dog” interests from before. But if you want to target something precisely (like “Social Media Examiner”), you can still do that. 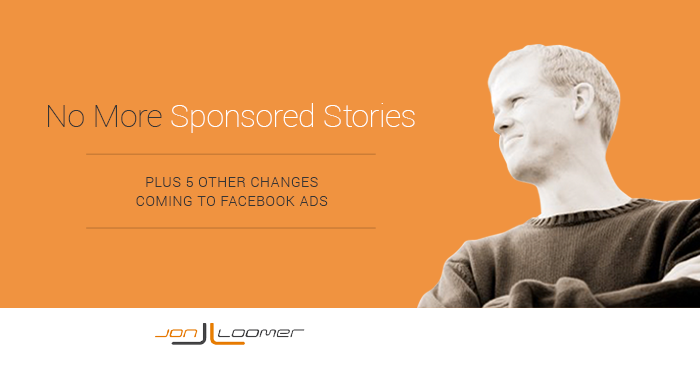 This is a change that is active for many advertisers. 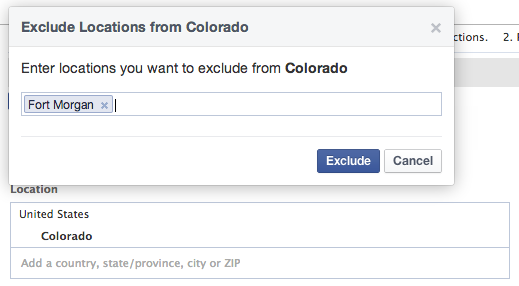 When selecting locations, Facebook has added inclusion/exclusion logic. First of all, you can select any combination of country, region, city or zip code. This was not previously possible. You could only select countries OR regions OR cities OR zip codes (not a combination). But you can also exclude specific areas now, too. For example, you may want to target the state of Colorado, but you don’t want to reach anyone within Fort Morgan. You can now do that. Facebook provides the least detail here, but it is potentially the most interesting change. Key features include better coverage of workplace, education and job title types as well as expanded Relationship status types. There is also the added functionality of selecting the recency of change of a life event (3 months, 6 months, 1 year). Advanced demographic and behavioral targeting will include purchase behaviors. This is something that seems to be covered in Partner Categories, so it’s not clear what is being added or changed here. Beta testing for this change will occur in early February with the new UI arriving in the middle or end of the first quarter. Overall, I view the changes with cautious optimism. I don’t believe the loss of Sponsored Stories is going to be as big of a deal as I initially feared, and it may actually make advertising easier for all of us. Most of the remaining planned changes appear positive, though I’m concerned about any loss of control. What do you think? Are you looking forward to these changes?